Peter Pappas is the William E. Dismukes Professor of Medicine in the Division of Infectious Diseases, and was the first Tinsley Harrison Clinical Scholar, Department of Medicine at the University of Alabama in Birmingham. Dr. Pappas attended medical school at the University of Alabama at Birmingham, graduating in 1978. He completed his residency in internal medicine, chief medical residency and infectious diseases fellowship at the University of Washington in Seattle. Following completion of his fellowship, he was on the clinical faculty at the University of North Carolina School of Medicine in Chapel Hill, NC, through its affiliated hospital in Wilmington, North Carolina. In 1988, he joined the faculty at the University of Alabama in Birmingham School of Medicine, with a focus on HIV and transplant-associated opportunistic infections, especially the invasive mycoses. His main areas of interest have included the development of new therapies for fungal infections and understanding the epidemiology of candidiasis, the endemic mycoses, and cryptococcosis. He has performed numerous clinical trials in candidiasis, cryptococcosis, aspergillosis, sporotrichosis, blastomycosis, and histoplasmosis through his involvement with the NIAID BAMSG. 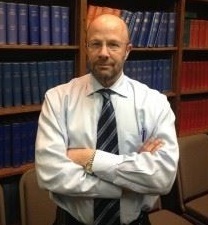 He is the Principal Investigator for the Mycoses Study Group Education and Research Consortium, an academic consortium that continues to perform multicenter trials, create treatment guidelines for invasive mycoses, and coordinate CME training in the epidemiology, diagnosis and treatment of invasive mycoses. As Director of the MSG, Dr Pappas has been instrumental in moving the organization towards its current NPO status. He also served as PI of a national network of transplant centers, TRANSNET, in conjunction with CDC and a consortium of industry co-sponsors to provide important epidemiologic and treatment information to transplant recipients who develop proven and probable invasive fungal infections. More recently, he served as co-PI of the Organ Transplant Infection Detection and Prevention Program (OTIP), and collaborative multicenter group funded by CDC.